Sparks and Buster have often partnered to promote literacy and baseball. Sparks and Buster, along with a representative from the Lakewood BlueClaws will discuss America’s pastime 10:30 a.m. Saturday March 1 at the Brick branch, 301 Chambers Bridge Road. Baseball’s Spring Training Camps have opened in the fair-weather cities and will make its way north for opening day in about five weeks. Here is your chance to learn more about the game and have your say about how the season will shape up, especially for the home teams. 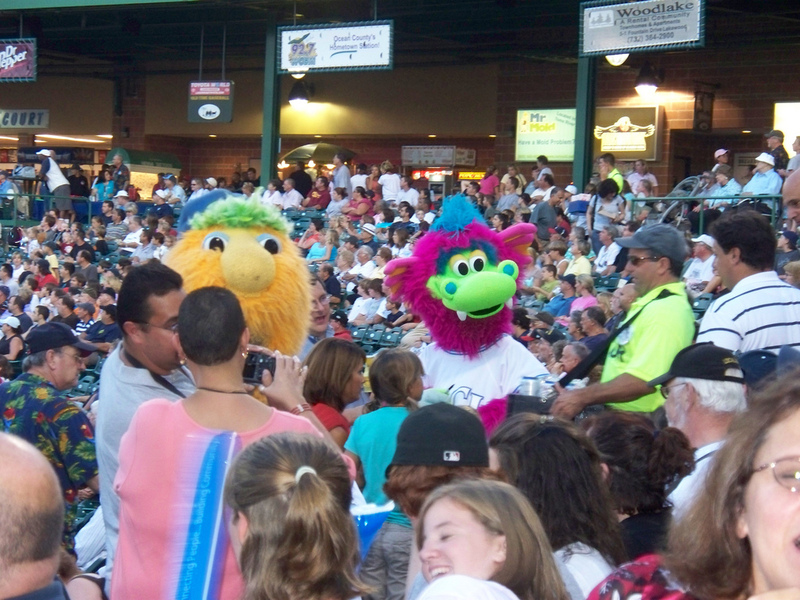 The OCL mascot Sparks and BlueClaws mascot Buster will sign autographs. Fans of all ages from all over the county are invited to attend. The program is free of charge but registration is required. Telephone the branch 732-477-4513 or go to the OCL website www.theoceancountylibrary.org, select the “Events and News” drop down menu then click on the “Calendar of Events” icon to register. Sparks & Buster working the crowd! 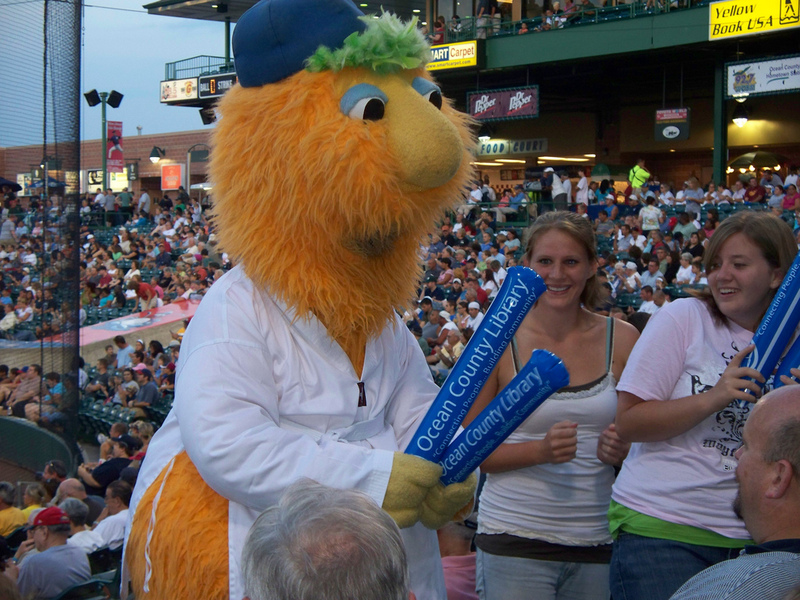 Ocean County Library Mascot, Sparks, made a special guest appearance at Monday night’s game at First Energy Stadium in Lakewood during a BlueClaws game. Sparks signed autographs, handed out prizes and entertained fans young and old alike. He also helped library staff promote upcoming library programs and events at the information table on the concourse. The library distributed 15 pairs of tickets to lucky customers who entered their name in a free drawing. Ten pairs of tickets were distributed to library staff, too.